Welcome to GenderDreaming.com, a website with information, advice, referrals and scheduling consults for couples who are interested in selecting the gender of their baby for genetic or non-medical purposes. Our website is designed to provide quality information on gender selection methods, as well as support from others seeking to balance their families. 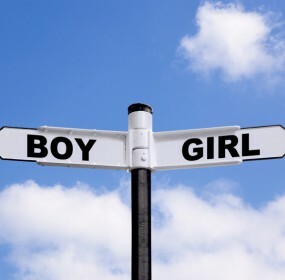 We provide unbiased information and attempt to help you simplify your search for a trusted gender selection expert and fertility clinic OR guide you through the process of Natural Gender Swaying from home. At GenderDreaming.com, our Gender Selection Forums are the gateway to success for your Gender Dreams. We seek to provide accurate, scientific-based methods of Natural Gender Swaying at home that are based on the Trivers Willard Hypothesis. We are also the number one site on the Internet for Natural Gender Swaying and Hi-Tech Gender Selection discussion with thousands of active members. We have Hi-Tech Gender Selection forums that are free and private via Member Access that provide information about IVF/PGD for Family Balancing. The Private Forums do not show up in Google searches allowing members the ability to speak freely about their situation and desire. We welcome you to join us in our Forums now- it is a community of supportive and understanding women and men that all have a common goal- having a chance to raise their Dream Gender, Boy or Girl.